22 Comments on Which Archetype Are You? Ever notice how any successful story throughout history tends to have a similar cast of characters? If you haven’t bothered counting, I’ll let you know that most characters will fall into one of 12 principal roles, and this explains why and how we can find favourite stories so relatable. Carl Gustav Jung, a famous psychoanalyst, defined these characters and the journey they go on as Archetypes. An archetype is something that symbolises primary human motivations, drives, desires and goals. It influences how one finds meaning in life, what one values, and the personality characteristics that one has. 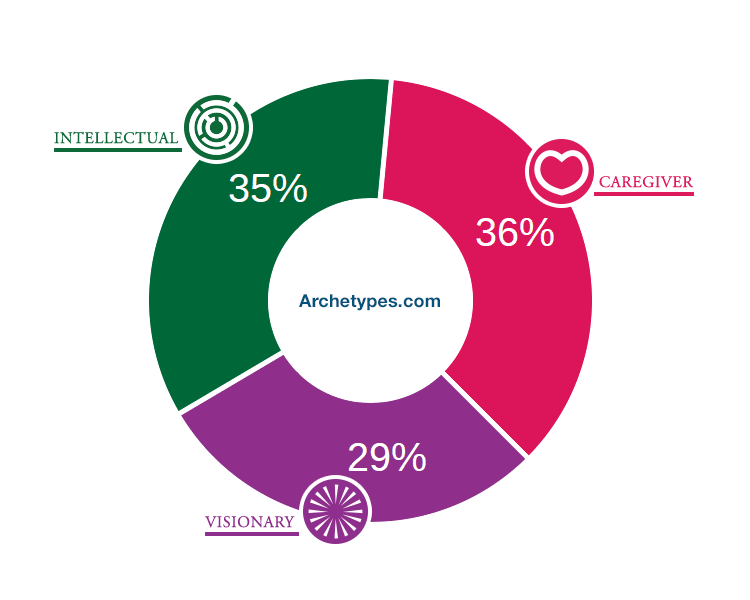 Most people tend to identify primarily with one archetype, although it is possible to be a mix of a few different ones. If you’re a visionary, you value innovation above all else. You look for patterns in the ordinary and try to create order out of chaos. You are intuitive and tend to find it much more comfortable than others to accurately predict trends and look into the future. You love to exchange ideas, share your opinions, and try out new gadgets. But you also have a tendency to overthink things or catastrophise if stressed and overwhelmed. When this happens, it is essential for you to retreat to somewhere secluded and/or scenic so that you can once again focus in on your next innovative idea that you would like to put into action. The visionary archetype tends to include the designer, the detective, the director, the entrepreneur, the hermit, the futurist or the strategist. If you’re a caregiver, you value being compassionate, caring and kind to others, but especially your family and friends. You struggle to say no to people because you love to help out and give as much as you can. Burnout is a risk if you spread yourself too thin, however. You are easy to get along with, flexible to various situations, and always willing to do what is required to adapt to and fit in with others without losing your sense of self. Your favourite activities involve spending time with those you love, and you are the person that people call or talk to if they have been going through something tough or are in crisis. The caregiver archetype tends to include the loving parent, the teacher, the nurse, the doctor, the best friend forever, the rescuer, the mentor, the healer, the veteran and the civil servant. The royal wants power and to be in control. They love being a leader and the boss and love living the high life and the sense of entitlement that comes with this. The royal is not afraid to throw money at a problem so that it will go away, and is willing to use their status, title or name to get what they want and feel that they deserve. Activities, holidays and clothes all need to be the best that money can buy. Royal archetypes include the king, the queen, the prince or princess, the boss, the executive, the politician, the diva and the networker or social climber. The performer is all about entertaining others and being the centre of attention. Even at social and family gatherings. Like Lady Gaga, they live for the applause and moving others emotionally or making them laugh. The performer wants to be seen and believes that being dramatic and in the right places with the right people is the best way to achieve this. The performer archetype includes the actor, the entertainer, the comedian, the clown or fool, the eccentric, the trickster, the storyteller, the spellcaster, the magician and the provocateur. The spiritual person has their faith as the cornerstone of who they are. They are belief driven, and pray and seek for what they know to be true to come to fruition. They love to engage in yoga, meditation, and connecting with others on a deeper level and can feel very connected with others and the world around them. The biggest trap for the spiritual person is magical thinking and not doing enough to take action and change the questionable things in their lives. They instead have hope and faith that things will work out the way they want, even when all the evidence suggests otherwise. The spiritual archetype can include the shaman, the saint, the mystic, the guru, the angel, the missionary, the martyr, the disciple and the Samaritan. The tastemaker values the beautiful nature of things above all else. They pay attention to trends, fashion and decor, and ensure that whatever they have is as aesthetically pleasing as possible. Different from the royal, they don’t assume that this is just about what is most decadent or expensive. A tastemaker loves to explore new restaurants, shops, technology and holiday spots. Their weakness is judging others who do not prioritise aesthetics as much as them. The tastemaker archetype includes the fashionista, the goddess, the gentleman and the metrosexual. The explorer loves adventure, exploring the world, and seeking excitement wherever they are. They are curious about everything new and things they are yet to encounter, and as a result, fear commitment and being stuck in one spot or tied down by someone else in any way. The explorer feels drawn to things unseen and undiscovered and is willing to be practical about what it takes to live their life in this way. They love meeting new people and immersing themselves in new cultures and experiences. The explorer archetype includes the adventurer, the traveller, the seeker, the discoverer, the wanderer, the individualist, and the pioneer. The advocate is always being a champion for a good cause and hoping that things will get better if they put up a fight for what they believe in. They may have a tendency of getting too caught up personally in the cause but are willing to back up what they believe in by getting signatures for a petition, fundraising money for a campaign, or organising a protest. They also try to live their lives in a way that is consistent with their values and standing up for those less fortunate or those without a voice, such as flora and fauna. The advocate archetype includes the hero, the environmentalist, the crusader, the vegan, the lawyer, the feminist, and the human rights advocate. The Intellectual takes pride in their extensive knowledge about things that are important to them. They are always seeking new information and trying to apply this information in a useful way to increase their wisdom. The intellectual can come across as a know it all, but they never feel like they have enough new things to learn. They love to spend time reading books and going to museums and are happy to impart their knowledge to anyone who is willing to listen. The Intellectual archetype includes the philosopher, the student, the geek, the sage, the scientist, the theologian, the crone, the inventor, and the judge. The rebel’s core values are justice and autonomy. They are fiercely independent and cannot be contained by the social niceties, order and dutifulness. They do what they want at all times, and like adventure and excitement, challenging convention and being deliberately provocative too. They are at risk of not thinking through the consequences of their decisions, and as a result can overconsume drugs or alcohol or get into trouble with the law, at work, or with those closest to them. Rebel archetypes include the warrior, the hedonist, Don Juan, the femme fatale and the wild man or wild woman. The athlete lives for staying active, fit, and in shape. They love to compete in anything involving physical activity and are happiest when they have achieved a big, athletic goal. The athlete has a tendency to turn everything into a competition, which can annoy others, but they are just as happy pushing themselves to improve their health and body. Clothing is worn for comfort and performance only, not aesthetics. The athlete loves to attend sporting events and is also happy to watch sport on the TV. The Athlete archetype includes the competitor, the outdoorsman, the dancer, and the tomboy. The creative loves being original and genuinely expressing themselves. The creative hates to just repeat or copy what others have done before them. They are happiest creating something from nothing, and this may include a piece of art, but it could also be a meal, an outfit, room in a house or even an idea. The creative does have a tendency to be a perfectionist, and this can make it difficult to begin a new project. Once you get started, you then tend to get into the zone until a project is complete or you need a break. The creative archetype includes the artist, the chef, the child, the poet, the novelist, the shapeshifter and the romantic. What Are Your Main Archetypes? I’m pretty happy with these results, and not surprised by my top 2, but I was surprised to see visionary my third highest archetype. I’ve never thought of myself as that imaginative or innovative, but I do want the world to change for the better and am willing to do what I can to improve the mental health of others. Based on these results, it’s apparent that I love to help others, but I need to be cautious about taking on excessive responsibility for others or feeling too guilty or inadequate when I can’t help as much as I would like to. I love to learn and be curious about new things, but I still need to be humble and understand that there’s still so much that I’ll never know. I also need to realise that not everyone wants to learn like I do, and that is okay too. Lastly, when I have an innovative idea, it is vital that I put this plan into action so that I can make a real difference. I would also benefit from making sure that I connect with others and collaborate with the right people to help make these dreams become a reality. I know that archetypes and the test are not highly scientific, but I still found them useful to think about what story I am trying to live out, and what values or principles I am being guided by. Caring for others, learning new things, and creating positive change is what I care about. What about you? Interesting post.. Thank you for writing it. ..
Oh, I LOVE these! They are pretty much always spot on! Are you familiar with Joseph Campbell’s theory of the monomyth? It might fit into this line of thought. I have read Joseph Cambell’s book A Hero with a Thousand Faces. It’s great! I want to say that I heard about him through “Heroes,” the television show. 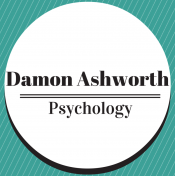 Blessings, Dr. Damon Ashworth!! This is a nice read and a blissful cover photo. And, yes, if you were wondering, he is my (late) father-in-law and was a lovely man. 🙂 Thanks for reading JOY Journal! Nice article. And you did not directly mention PCA or variations of Factor Analysis or discriminant validity directly, but the comment at the end effectively covered the questions those might raise. I agree with you: sometimes tools that might not withstand intense scrutiny still provide good utility anyway. I’ve never seen archetypes divided up quite like like this. My results are similar to yours but visionary was my highest and caregiver the lowest. This is really interesting. As for me, I am a Creative, Intellectual and Visionary… in that order. And, 98% confused with myself as I just read my answer.. Thanks for this. Kind of interesting for me in my lifestyle, and useful for a number of reasons. Appreciated.